This is the next step in learning how to do Handstand Pushups. If you have not tried any of the previous workouts suggested in order to learn how to do a handstand pushup, CLICK HERE. 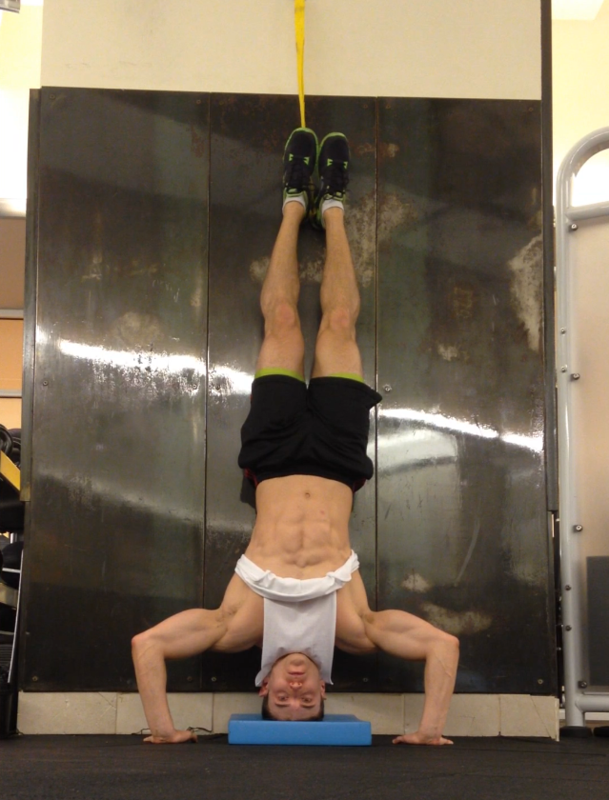 Handstand Negatives depend on a slow controlled motion to strengthen and train your back, shoulder, and core muscles. 1. Place a pad, pillow, or soft surface on the floor and against the wall. 2. Face the wall and prepare to kick up into a handstand. To do so, place your hands a few inches away from the wall, on either side of the pad, and kick your legs up. You should end in an upside-down position with your back facing the wall. 3. Bend at your elbows and slowly lower your head down to the pad. 4. Lower your legs back to the ground by pushing off the wall with your feet. 5. Stand back up and repeat steps 2-5 for the allotted amount of reps.
1. The exercise is ALL ABOUT CONTROL. Holding the handstand position will practice stability, but also the lowering down will activate those muscles needed to do a handstand pushup. 2. When lowering your head down to the pad, try to lower as slow as possible. Taking 3-5 seconds is ideal. The slow motion will make this exercise hard, but effective. It will really test and work a wide arrange of muscles in your upper body. 3. Once your head is down on the pad, try pushing up from this position. It is ok if you can’t, just kick up into a handstand before every negative. If you can do a pushup, do another handstand negative after the pushup. 4. Try doing 5 negatives at a time at first and then try and work your way up to 10 consecutive reps. At first you may not be able to lower yourself slowly, but over time really test yourself and try to lower yourself as slow as possible. Have you ever tried Handstand Negatives? 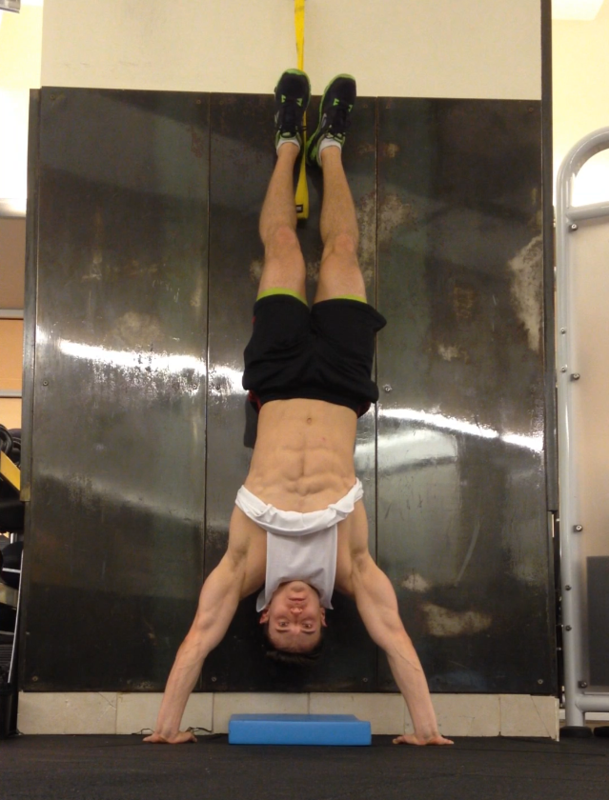 Have you been following my guide to learning handstand pushups? Let me know what you think. Contact me at corestrengthalec@gmail.com with any questions, comments, or ideas for new topics.